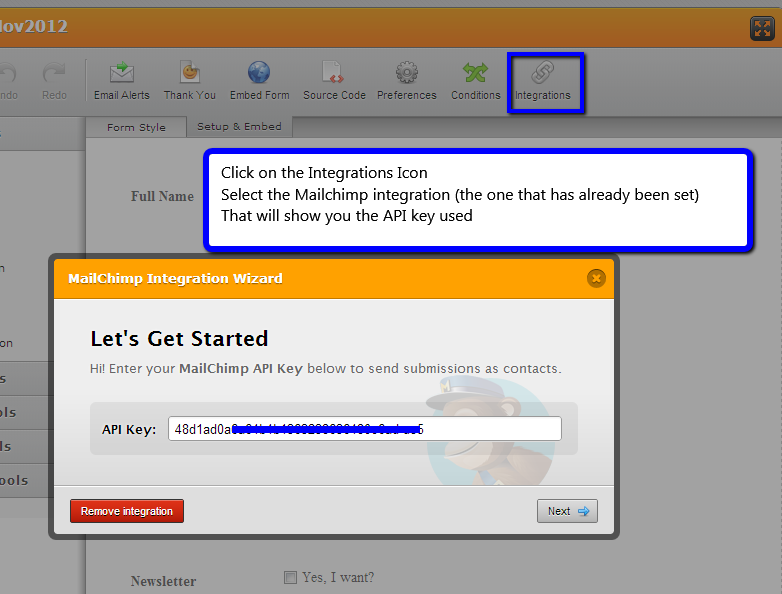 Is there a way within Jotform to check which API key you are using on a particular Form? Please give that a try and let us know if you need further assistance! I must have had fingure or keyboard trouble when i tried to do that it would not work for me the first time. It seems like everything is okay now then and on behalf of my colleagues we are glad that this has helped you. If you have any other problems, questions, or concerns feel free to talk to us.